Since its humble beginnings as a traders stop with Rix Robinson, by the mid 19th century Ada had become an emerging center in the growing West Michigan area. In 1867 an act of legislature allowed Ada Township to borrow $3,000 for creating or fixing bridges. 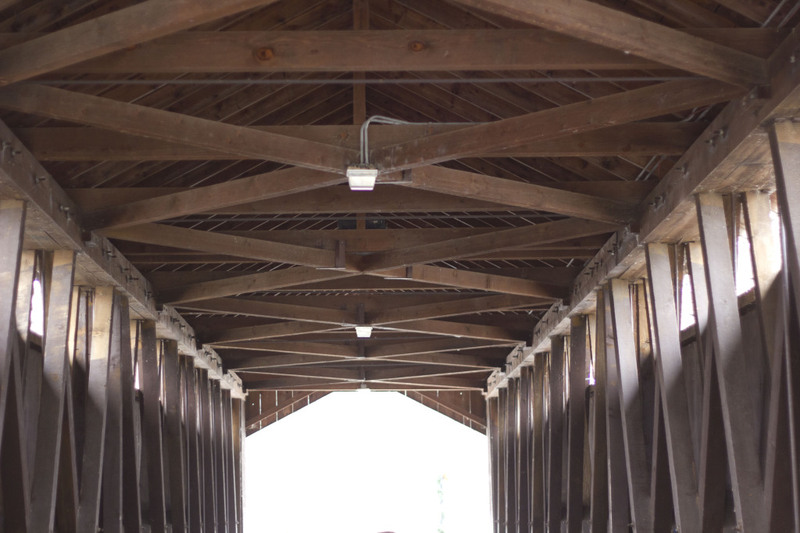 The Ada Covered Bridge was created by William Holmes based off of the patented truss design of Buffalo’s Josiah Brown in 1857. During repair work, a piece of timber was found to have Brown’s name on it, paying homage to the unique design of the bridge. It is also known as the Bradfield Bridge because of its closeness to the Bradfield’s gristmill that was located near the current dam site.The bridge served as the central flow of Ada’s traffic of farmers, workers, travelers, and locals between the village and residential homes. Being over the Thornapple River, the bridge has been endangered by floods in multiple instances. In case of a serious threat, local farmers would drive wagons full of rocks on the bridge to support its foundation. In 1930 the bridge was closed to automobile traffic due to the creation of new road systems. Because of the bridge’s lack of traffic and focus, it began to be ignored and worn down over time. In 1941, the Kent County Road Commission restored the bridge after 74 years of service. The Ada Covered Bridge became a Michigan Historic Site in 1974 and continues to remain an Ada landmark. In 1979, snow build-up collapsed the bridge’s roof but Ada locals teamed up to raise funds to repair the roof. Unfortunately soon after the roof was repaired, the entire bridge burnt down in a fire. But residents of Ada did not give up the memory of the bridge’s significance to the community. This time local Amway Corporation helped to fund the creation of replica bridge that still stands today at 125 feet long. 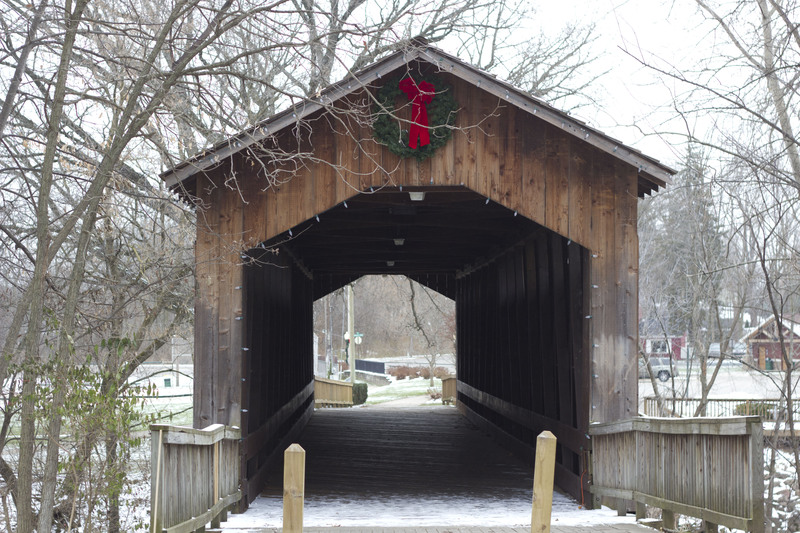 The Ada Covered Bridge is maintained by the Kent County Parks System as a part of Leonard Park. The bridge is registered in the National Register of Historic Places and is currently one of nine covered bridges in the entire state of Michigan.